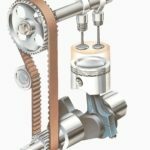 In this article we will discuss about difference between petrol and diesel engine. The classification of petrol and diesel engine is done on the basis of the respective fuel used by these engines. The engine which uses petrol is called petrol engine while that uses diesel is called diesel engine. Here will discuss all the major differences among these engines. The petrol engine works on Otto cycle whereas diesel engine works on diesel cycle. 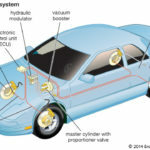 In petrol engine the air and petrol are mixed in carburetor and it enters into the cylinder. 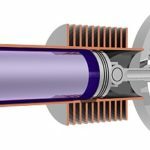 In diesel engine the fuel is first fed into the cylinder by a fuel injector and then gets mixed with air inside the cylinder. In petrol engine first the compression of air and petrol is done and then it is ignited by an electric spark. 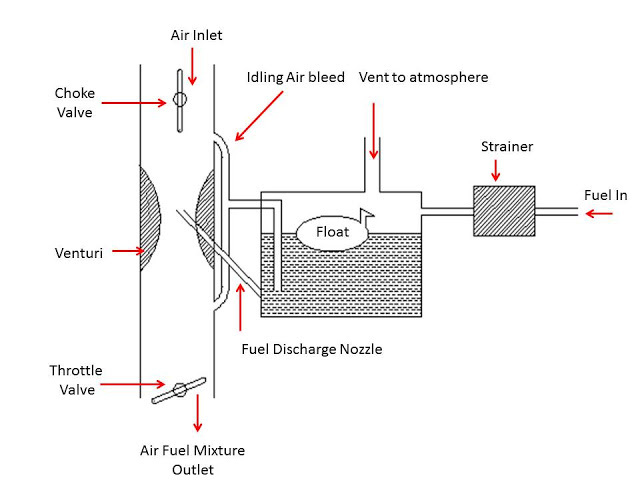 In diesel engine only the charge of air is compressed and ignition is done by the heat of compressed air. The compression ratio in petrol engine is low as compared with the diesel engine. The power developed in petrol engine is low due to lower compression ratio. In diesel engine the power developed is more due to higher compression ratio. 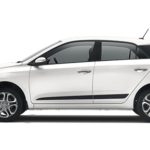 Petrol engine is fitted with spark plug whereas diesel engine is fitted with a fuel injector. In petrol engine the fuel that burns has high volatility. In diesel engine the fuel of less volatility is burnt. 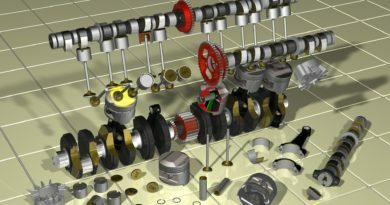 Petrol engines are used in light weight vehicles like car, motorcycles, scooters etc. Diesel engines are used in heavy vehicles like buses, trucks, locomotives etc. Fuel consumption in petrol engine is higher than the diesel engine. Petrol engine is lighter whereas diesel engine is heavier. Frequent overhauling is required in petrol engine but overhauling of diesel engine is done after a long time. 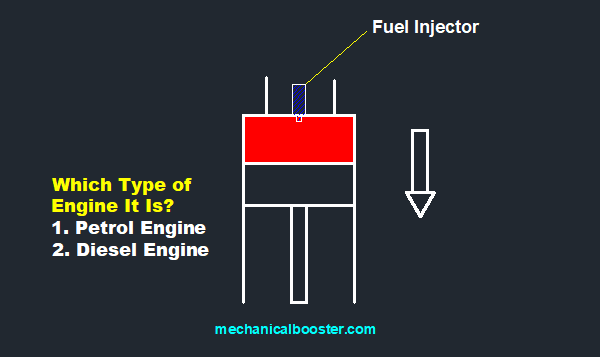 There is lesser starting problem in petrol engine as compared with diesel engine. Petrol engine has lowered initial and maintenance cost but the initial and maintenance cost of diesel engine is high. The petrol engine works on Otto cycle i.e. on constant volume. The diesel engine works on diesel cycle i.e. on constant pressure. The air and petrol are mixed in the carburetor before they enter into the cylinder. 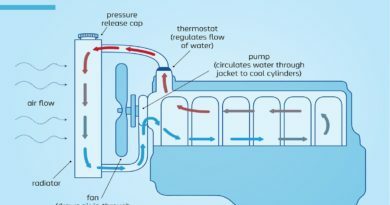 The fuel is fed into the cylinder by a fuel injector and is mixed with air inside the cylinder. The petrol engine compresses a mixture of air and petrol which is ignited by an electric spark. The diesel engine compresses only a charge of air and ignition is done by the heat of compression. Compression ratio is higher in diesel engine. Less power is produced due to lower compression ratio. Due to higher compression ratio more power is produced. It is fitted with a fuel injector. Burns fuel that has high volatility. Burns fuel that has low volatility. They are used in light vehicles which requires less power. Eg: car, jeep, motorcycle, scooters etc. They are used in heavy vehicles which require high power. Eg: bushes, trucks, locomotive etc. Fuel consumption in petrol engine is high. Fuel consumption in diesel engine is less. Petrol engine requires frequent overhauling. Overhauling of diesel engine is done after a long time. 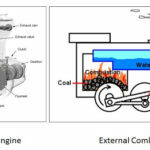 ← What is Two Stroke Engine? People use more of petrol engines but the power developed is more and the consumption of fuel is also less in diesel engines.then why do people prefer petrol engines?